00:47:698 (175) - don because it's lower than 176 "aah aah"
00:48:833 (180,181) - delete 180 because the second sylabel it's representing is hard to hear and 181 should be don to represent vocals 00:48:833 (180) - this, have a vocal, so why ? 00:26:455 (119) - don to match vocals? 00:26:455 (119,120) - "tama"
00:33:428 (153,154,155) - kkd? dkd? 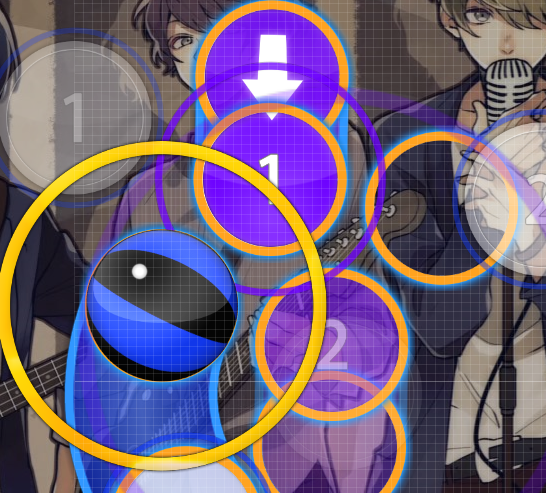 00:47:860 (219) - if you're mapping drums this should be a don "ah ah"
00:06:671 (2,3) - current flow you have here isn't that good, after you move cursor pretty fast to aim slider (3) you need to slow down and follow its path and without changing direction it plays bad, better to avoid this as it seem to not be your intention. placing circle (2) https://i.imgur.com/xUwlLT5.png like this will work just fine! 00:55:806 (1,2,3,4,5) - why not make here a nice and neat star? and will create nice anti-jump on next downbeat object. 00:40:887 (6,7,1) - get rid of slightly overlapping, it'll look much better that way! 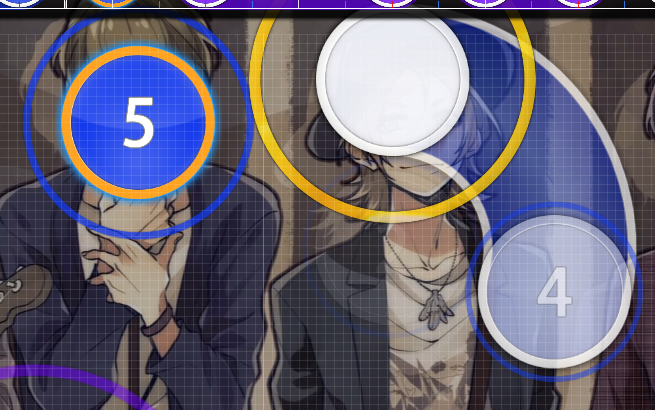 00:50:617 (1) - oh missing that red tick is bad, just end your slider there. your diff is too much focused on overlapping with previous object and it took that degree when it sometimes almost feels like you aren't moving on the playfield at all(from 00:35:050 (1) - to 00:38:941 (1) - is too much imo lol), it'd be much better if your objects move around more, not saying you need to remap everything as it is not what mod should look like, just consider using less of overlapping next time you map! 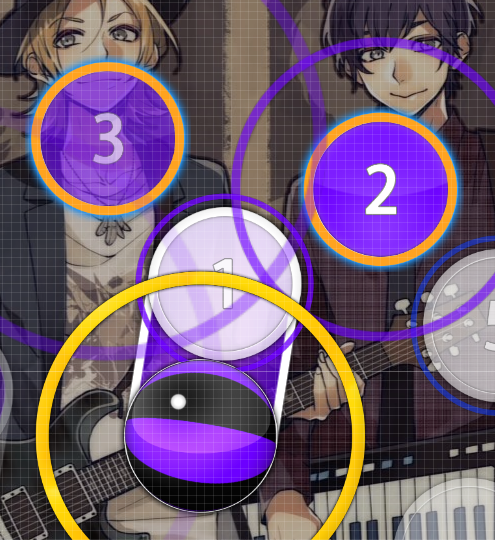 00:40:725 (4) - ^ These two places have sounds :3..
00:59:698 (1) - I think this spinner doesn't fit here, you should remove it and map the drums that start at 01:00:995 - fixed in my own way. From my mod queue. Thanks for your patience and M4M. 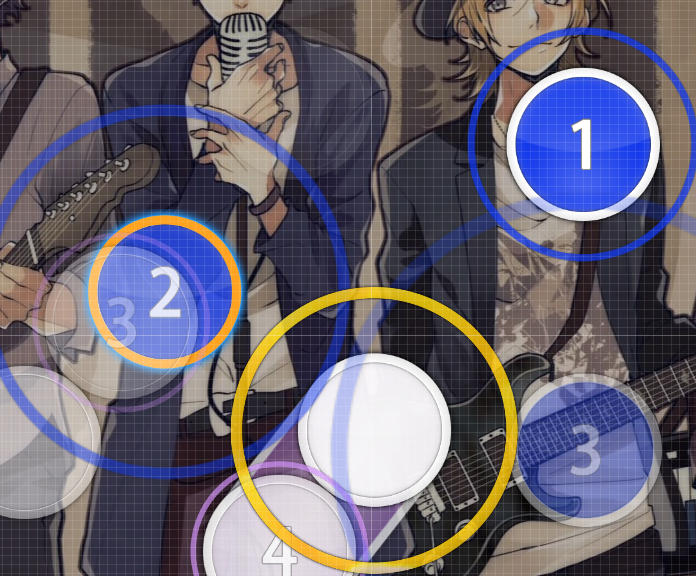 00:04:239 (3)- This circle feels unnecessary. 00:49:968 (2,3)- The timing on the slider end and following circle feel a little off beat compared to the overall groove of the objects before it. For an Easy diff it might throw people off. 00:04:239 (2)- This looks kind of ugly with the slight overlap. It would look better if it was directly underneath the preceding slider's end. This happens at many other points, including 00:15:266, 00:24:995, & 00:36:022. 01:09:104 (2,3,4,5)- The placement here is super confusing and awkward. Maybe it's meant to be disorienting, but that kind of stuff suits top-tier difficulties rather than a Hard. 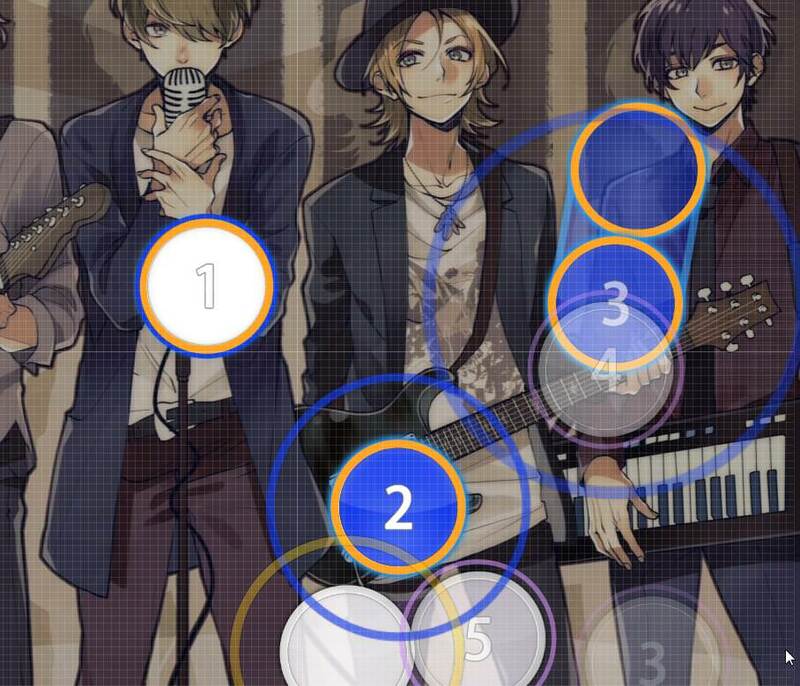 There's also too many overlapping sliders that would look better properly blanketed to count. This is just a very messy-looking map TBH. I didn't find much to take issue with in the Insane diff. It does a lot of unorthodox stuff spacing and placement wise but it does them consistently and aesthetically well, which are the most important aspects for me. Only recommendation I'd make is not making 01:01:320 a new combo, since no other section pulls something like it and there's no change in the music to make it less out of place. but i'll definitely mind that next time i map. thanks! 00:08:293 (2) - For seeing this note, this note expressed like 00:08:455 (3,4,5,6) - the others, but music is differnent, 00:08:374 - tbh this part's song is not so loud, then you don't give same intense with others in this note. you should make just triplet or delete 00:08:374 - this rhythm. 00:14:131 (1,3,4,5) - I think you intend blanket here. but blanket is not perfect, you should check and fix it for better visual. 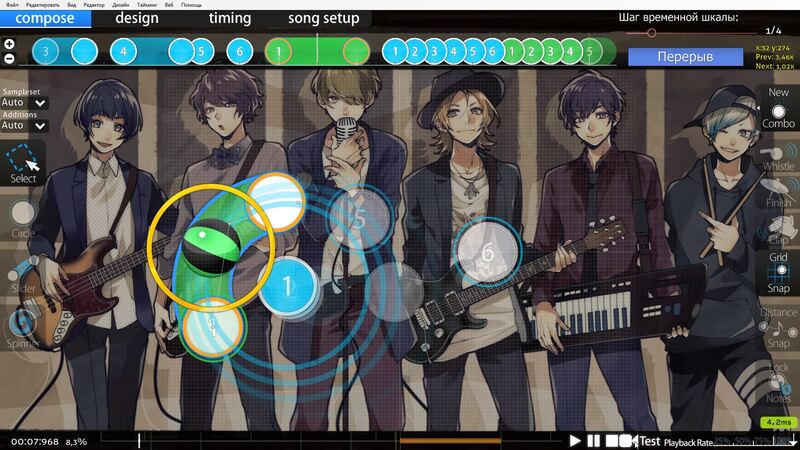 00:25:563 - this part has quiet symbol sound, if you add a note here, rhythm could be better for expressing. 00:25:968 (1,2) - You should make it into one slider, for seeing 00:20:779 (1) - and 00:00:023 (1) - , you made it as slider, but in here, you made two circlesm it makes bad consistent of pattern and intense, you should make it consistent. 00:46:725 (1,2,3,4,5) - you didn't use this circle patterns well, then this pattern looks it has more intense than others, without any reason. 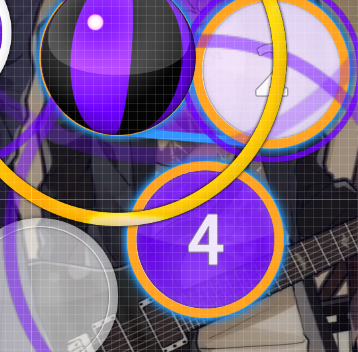 you should make it into 2 sliders and 1 circle. I know you intend pentagon, but yea,,,,,, you use weird way. maybe try making them all 1/2 ? 00:25:482 (4,5,6) - remove (5)? 01:25:644 (1,2) - same here, doesn't flow much imo , maybe make it like 01:30:833 (1,2) - would do? Hello, I saw this from someone's queue. 00:03:590 (2,3) - Could probably CTRL+G the rhythm here and rearrange the spacings to differenciate it being rhythmically the same as 00:00:995 (3,4,5,1) - , which is repeating themselves. 00:02:293 (5,1) - It'd be better to swap NCs here to remain consistent in NC-ing every 2 stanzas. 00:00:995 (3,4,5,1) - Just a suggestion, how about making 00:00:995 (3,4,5,1) - an obvious repeating pattern to reflect the vocals better? This, for example. 00:12:347 (4,5) - 00:17:536 (4,5) - Differenciating these from 00:14:941 (4,5) - and 00:20:131 (4,5) - would be pretty nice imo. At 00:12:347 (4,5) - the guitars are lower in pitch and one more later is higher (00:14:941 (4,5) - ). How about making 00:14:941 (4,5) - and 00:17:536 (4,5) - a 1/2 slider for that? 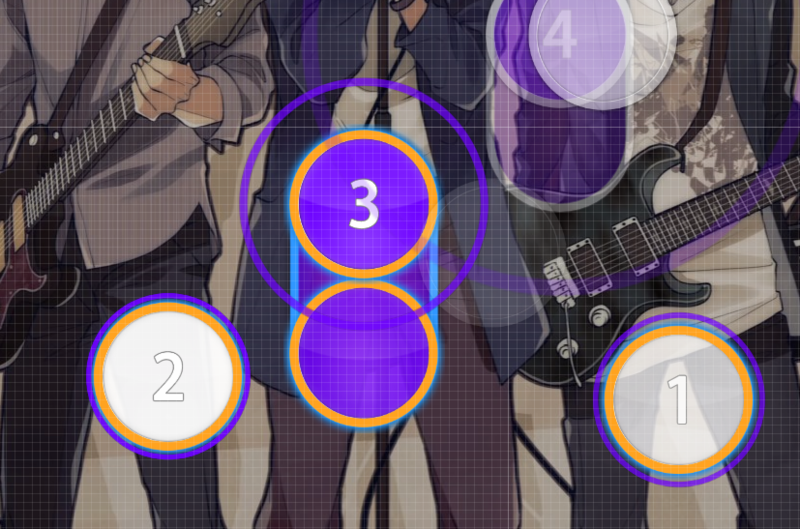 00:55:158 (2) - This slider should have the same rhythm as 00:53:860 (4,5) - considering they're similar in pitch. 00:57:752 (1,1) - Unnecesary NC, it results in an inconsistency and could probably confuse new players since there's no guiding line during gameplay. Same applies to 01:00:347 (1) - . 01:09:428 (4) - You can put NC here to mark that 01:09:428 (4,5,6) - and 01:07:320 (1,2,3) - is one set. 01:19:806 (4,1) - Swapping NCs here would be nice, same reasoning as above. 01:24:995 (4,5) - and 01:30:185 (4,5) - Should change these as well if you applied my suggestion before. 00:00:023 (1,2,3,4) - The visual spacings don't look too appealing imo, where 00:00:023 (1,3,4) - is too crowded and 00:00:347 (2) - is left out from the group. Could probably improve the visual spacings. While this isn't really visible in gameplay, I should point this out in case it's unintentional. 00:00:347 (2,3,4) - The distance spacing here is 2.00x while 00:00:671 (4,5,1,2,3) - 's around 1.85x, and at 00:02:617 (1,2,3) - it's back to 2,00x when there isn't much change on music. This should be reconsidered. 00:01:320 (1,2,3,4,1,2,3,4) - Just my personal opinion, would be cool if this's to be a repeating pattern, as I said in Easy. 00:02:455 (4,1) - The impact of emphasis here can't really be felt in gameplay since it's just a 0.10x spacing difference, might space this out. Though, to be consistent in emphasizing things, 00:01:320 (1) - and 00:03:914 (1) - should be emphasized as well. 00:05:212 (1,2,3,4,5,1,2,3,4,5) - Just before, you focused mainly on vocals but here it's on guitars, assuming from 00:05:860 (4,5,4,5) - . 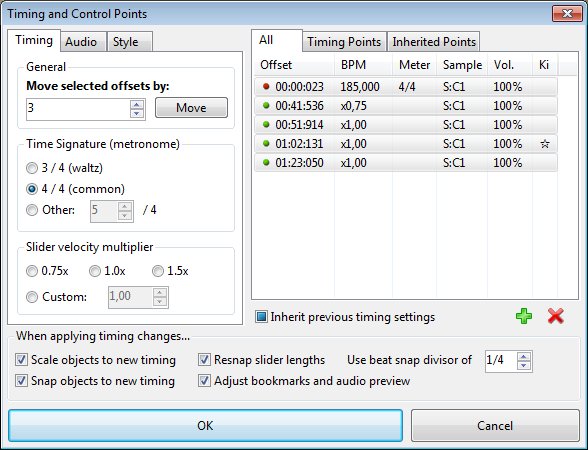 The holding vocal at 00:05:860 - is treated the same as 00:05:536 (3,5) - which has 2 vocals in 1/2. How about changing 00:05:860 (4,4) - into 1/1 sliders to give some effect to the vocal? Emphasis should be done consistently throughout the map. For instance, you emphasized 00:14:131 (1) - by spacing it out to 3.00x while 00:13:482 (4,5) - being 2.00x. But at 00:10:077 (4,1) - there isn't any emphasis. Same applies to the others like 00:15:266 (8,1) - , 00:12:671 (5,1) - , etc. You could probably set a default spacing for normal beats, and one more for emphasis. In this case, you can nerf 00:10:401 (1,2,3) - and the others into 2.00x while leaving the beats you want to emphasize in 3.00x spacing. 00:46:725 (1,2,3,4,5) - The pattern is far more intense than the others in the section. You should nerf the spacings out, or make some of them into sliders. 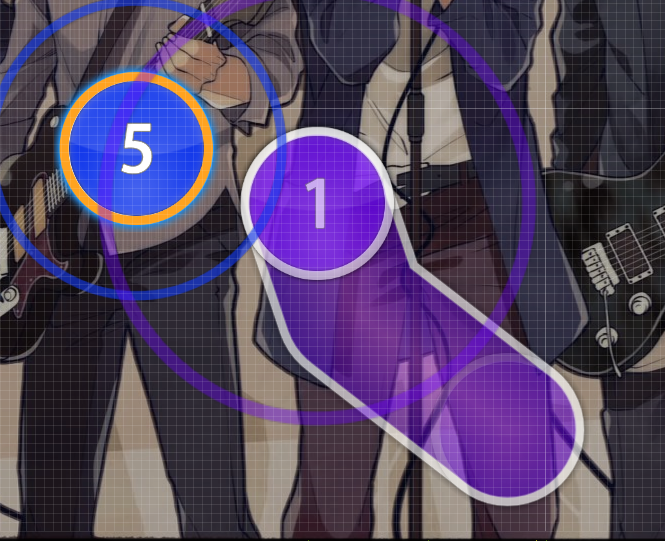 The slider velocity of the map is actually too slow for an Extra imo. But changing the SV would cost a remap. 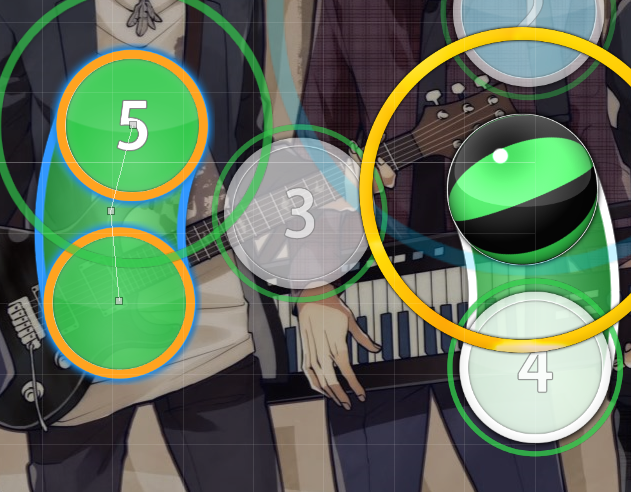 The non-kiai part seems fine, but you should probably buff the kiai out with 1.10x~1.20x green lines to make it appear more intense and differenciate the part from the others. You stick to the DS too much and it doesn't get you a chance to emphasize things or even variate things. For example, 00:41:536 - this part you stick to 2.00x everywhere, or 00:51:914 - you stick to 2.50x DS. You should emphasize things more. 00:04:428 (2) - stack under this 00:04:103 (1) - overlap for showing 1/4 snapped. 01:32:968 (4) - the same stretch only to 01:33:130 - I think it is better to provide reason why you think I need to fix, otherwise, I don't know what you are thinking of. 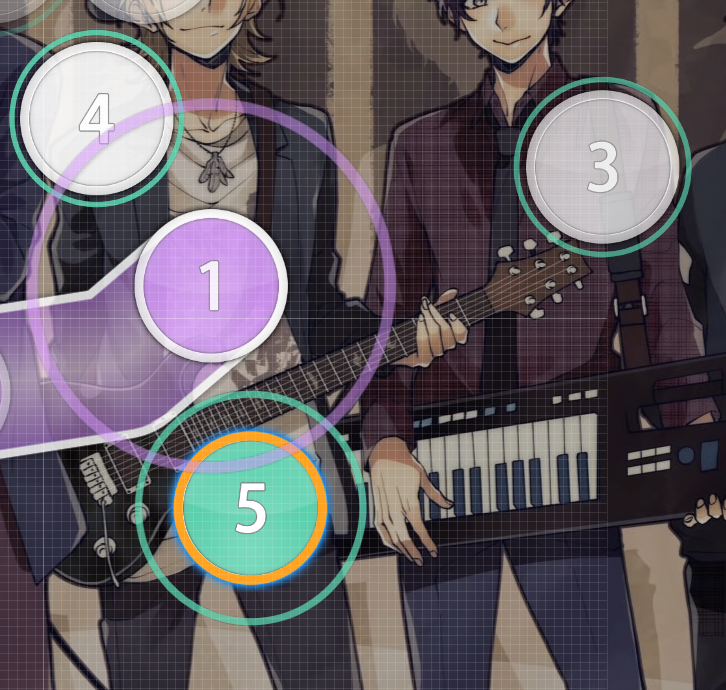 ar7 is too low for 3.29* and 185 BPM. Feels weird in nomod gameplay. Pls put ar8 ar 8 is too high for hard diff tbh, so I just remain. 00:14:941 (5,6) - i dont sure about use Blue ticks in Hard diff. 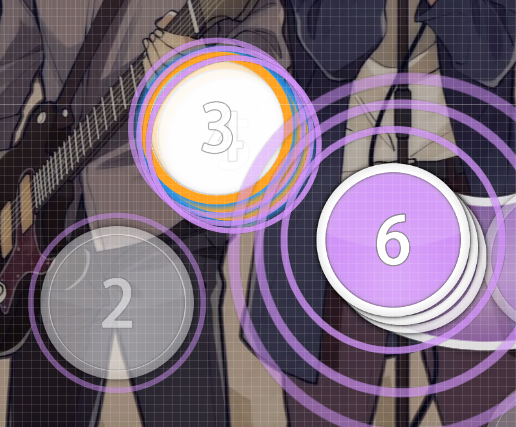 You can make slider more longer and end them in white tick. it is acceptable for blue ticks, if it is suitable. I use blue tick to make the rhythm different, and players could have more fun on it. 00:04:239 (2)- This looks kind of ugly with the slight overlap. It would look better if it was directly underneath the preceding slider's end. This happens at many other points, including 00:15:266 - , 00:24:995 - , & 00:36:022 - . slight overlap is for showing blue ticks circle. 01:09:104 (2,3,4,5)- The placement here is super confusing and awkward. Maybe it's meant to be disorienting, but that kind of stuff suits top-tier difficulties rather than a Hard. I think it is okay, because this pattern have better appear before and still using afterward. 00:06:509 (1,2,3) - weird ... you should stack this note 00:06:671 (2) - with 00:06:509 (1) - this one cuz the strong sound of both are same both are okay, stacking 2,3 is make more sense to me because the vocal makes me feel like this. 00:30:347 (3,4) - this two shound swap places beacuse 00:30:347 - here it got the 'deng' sound and 00:30:509 - 'tet' sound perfect for slider and it feel more comfortable to playI avoid using slider end on white, even I do not change, the rhythm still okay. 00:40:482 (2) - nah .. replace it with a note for better gameplay fixed to another pattern. maybe try making them all 1/2 ? it is acceptable to use blue tick in hard. 00:20:131 (3,4) - slider formation here looks a bit weird imo, I suggest slider (3) straight like (4) and move around 436|172 fixed. 00:25:482 (4,5,6) - remove (5)? remain, there is a sound, and I think it can emphasize 00:25:644 (6) - beat. 00:33:752 (1) - I don't know if your hitsounding is WIP or not but hitfinish here sounds strange I guess still wip. 00:45:266 (3) - move a little bit out from (2)? the blanket here is too closeum... restricted by the ds. 00:48:347 (1,2,3,1,2,3,4) - the note density here suddenly drops, add some 1/2 notes a little break for players, and it is the end of the clam part, so i think it is acceptable. 01:19:482 (2,3,4,5) - I think this pattern here doesn't flow I think circular flow still exist, wait for further modding. 00:10:590 (1) - why samples are other here? its the same as otheryou mean hit sound? If I didn't mention some diff(s), then this means everything is fine for me. "Normal" diff missing in the spread? Or there is a gd WIP or something? 00:41:212 (2) - Seems a bit crowded..
01:33:428 - Add an ending note here?